Amituofo. We welcome you to your Temple. 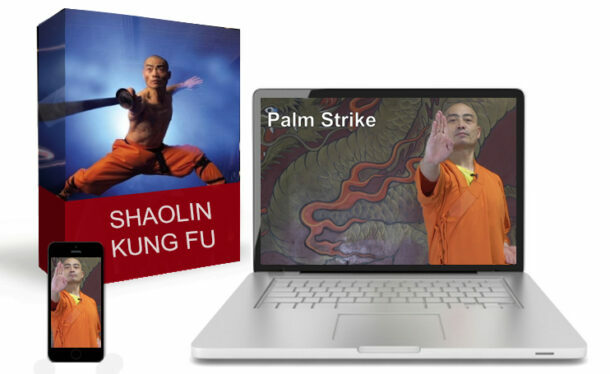 Thank you for visiting the USA Shaolin Temple Website. We are happy to invite you to look through our site and we would like to encourage you to contact us or ask questions – but before you do, please read through our FAQ to check and see if your question has already been answered. 1. Can you please recommend some exercises? You can read some articles which discuss stretching, some basics and warm ups on our site in the press archive. Also, I have a new book which was published by Rodale, called “The Shaolin Workout: 28 Days To Transforming Your Body and Soul the Warrior’s Way”. You can order it on our website or on Amazon. 2. How long will I have to train to become a Master? What about a monk? You don’t have to train martial arts, you can still become a monk. You can still become a master. But if you want to become a Shaolin Temple monk you must train harder. Not only martial arts skills but also philosophy and history. You must develop your personality and understanding and combine all of this together – that way you are a Shaolin Temple monk. The most handsome Shifu on the planet, Abbot and Founder Shi Yan Ming. 4. 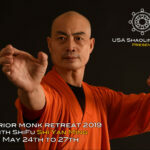 Do I need any prior training to attend classes at the U.S.A. Shaolin Temple? In martial arts, especially, my philosophy: there is no age…you can be short…you maybe are tall, you can start training Shaolin Temple Martial Arts or Chan Buddhism. Your prior life experience doesn’t matter. 5. What if I have injuries or health concerns, can I still train gong fu? First, you must understand how to be a doctor to yourself. For example, foster happiness, eat good food, sleep good, understand and trust yourself. Don’t confuse yourself, but truly try and enjoy your life. Life is so beautiful you must understand that life has the best of everything. I believe you like to kiss your girlfriend – that’s sweet, but when the relationship becomes a little bit of a problem, then it becomes sour, bitter, a little pain – what’s difference, our physical compares with this? That’s life. I believe that many people are not physically injured so much as they are truly mentally injured. Spiritually injured. Come on, get up!! When you were born, you did not realize how good was your mental, your physical, you had a pure mind, so clean, a pure body. Year by year passed, getting younger and younger, a lot of wonderful things come to your life, you begin to think, begin to look at things, begin to worry, begin to enjoy, for example from when you know how to take care of yourself, know how to express your journey and take then say you take away the vacation time, the eating time, you don’t want to do anything time, sleeping time, sick time, mental, physical, spiritual, how many hours do you have in your priceless life. Cherish yourself. 6. Can you recommend a school or master? We welcome you to your temple, the USA Shaolin Temple, any time. No where is too far, too close, nothing is easy, nothing is difficult, according to your understanding. Especially since this is the 21st century. 7. Do you have any books or videos for sale or that you recommend? 8. Can I try a class? Anyone can try a Level 1 Class. We ask a donation of $20. Anyone can watch a Level 1 Class. You may choose one or the other. 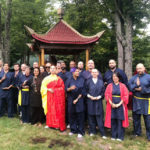 There is a class schedule on the website in the Shaolin Training section. I ask that you respect the privacy of our level 2 classes. 9. How old do I have to be to start training? You can start when you are born if your parents know how to train you. And before that if your parents have good philosophy, your parents can teach you then too. Until a 100 years later you are ready to see God, up to that day you can start to train. That very day you can train. 10. 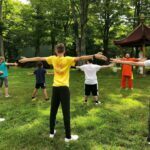 Are there living facilities at the USA Shaolin Temple? In the future, we are looking forward to inviting you to stay at your temple. The temple belongs to everyone. Right now, we do not have the zoning to allow for guests to live at the temple in Manhattan. Our new 80-acre temple in Fleischmanns, NY is still under construction. When this opportunity is available, we will make the information available here on our site. 11. 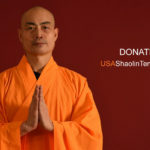 Do you have any plans to build a branch of the USA Shaolin Temple near my home, or do you have any plans to visit my area? I do the very best that I can. I am sharing the knowledge with as many people as possible. Now we have 3 branches of the USA Shaolin Temple. (Since this was posted, we have opened more brances in Trinidad & Tobago, Argentina, and Chile). We have one in Johannesburgh, South Africa (Shi Heng Tong), we have one in Vienna, Austria (Shi Heng Xin and Shi Heng Yi), and one in Mexico (Shi Heng Yi). In Austria, “Xin” means “heart,” “Yi” means “mind.” In Mexico, in this case “Yi” means to bring everything together. And we are going to open more branches around the world, we will be visiting the Dominican Republic, Peru, Chile, Argentina, and we are looking forward to have as many branches across the US and throughout the whole world. 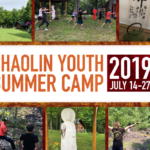 I want everyone to gain benefit from the authentic Shaolin traditions of Chan Buddhism or Martial Arts. That’s my dream. That’s our goal to reach. Including China. Before you ask the question, please ask yourself first. Please try and understand yourself and learn about yourself. I believe this is the way to educate yourself. Amituofo. I am so handsome, so good looking, including beautiful. I hope you are just like me. Not only external and internal, inner bright, stay in front of mirror please take a moment and look at yourself. You will be surprised at how good looking you are. Probably you forgot so I just remind you. Please don’t scare yourself. On this beautiful planet a lot of wonderful things can be seen, there are a lot of wonderful things to celebrate, a lot of wonderful things to do. A lot of wonderful people are living on this beautiful planet, a lot of funny people live here too. I mean funny who don’t understand themselves, truly funny people are fantastic for example people like to watch what’s that called…comedian, and we have that specific channel, a lot of people truly enjoy their lives and a lot of people truly confuse their lives. A lot of people like to talk beautiful things and that’s wonderful, and many people like to talk about negative things, that is not so wonderful – my friend look at me – I will change you, I am going to knock your head and open your heart and open your mind.